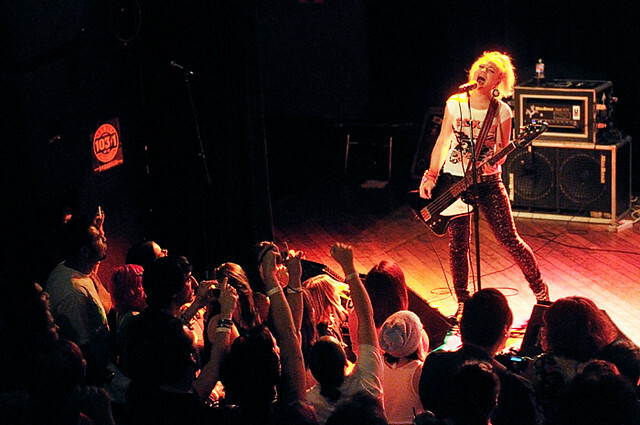 The Dollyrots perform at The Knitting Factory Hollywood. The Dollyrots just released a brand new video off their self-titled, 4th studio album. It's called "Starting Over Again" and it's probably going to be their last since they are now in the process of recording their new album after reaching their goal via Pledge Music. Even though they reached their goal, you can still donate and get some cool Dollyrot memorablia. Anything over 100% then the duo will donate 5% to MusiCares and put some dough into music videos, promo and tour! In July, Kelly and Luis broke news that they were expecting a little Dollyrot of their own and would be cease touring for the remainder of 2013 while they work on their new record.